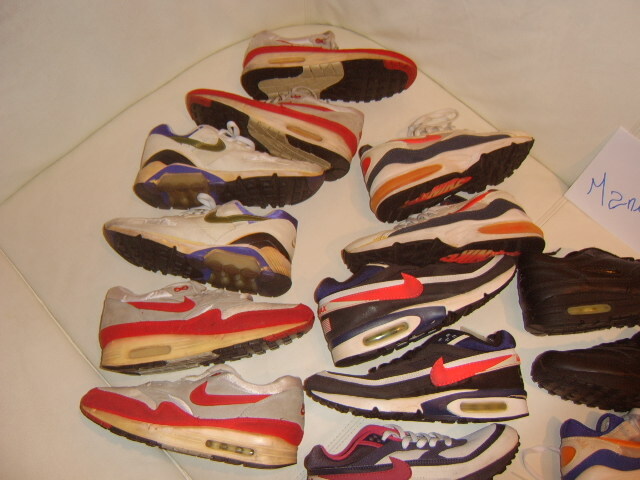 I think a lot of people were watching how this auction would turn out: 10 pair of original releases of Nike Air Max… from the 1987 air max 1 up to a retro of air max from 1996. The lot sold for more then $450 usd, which is a little bit steep. I wouldn’t at least not buy 10 pairs of beaten shoes, while for the same money you could find at least 3 of the 10 in perfect condition with all the OG material.